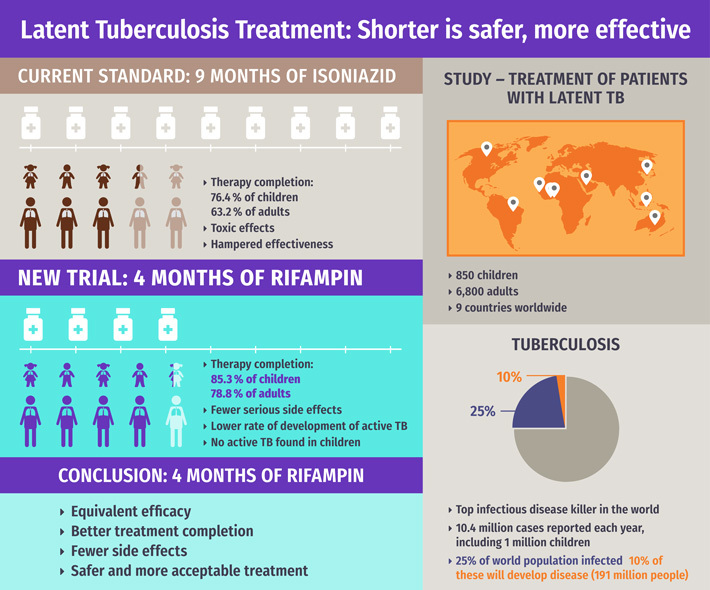 Game-changing study on treatment of latent TB shows a novel, short therapy is safer and more effective in children and adults than standard therapy. Montreal, Aug 1, 2018– Treatment of latent tuberculosis is set to transform after a pair of studies from the Research Institute of the McGill University Health Centre (RI-MUHC) revealed that a shorter treatment was safer and more effective in children and adults compared to the current standard. These findings are published today in the New England Journal of Medicine. Published: Aug. 5, 2018, 11:22 p.m.
Last updated: Aug. 5, 2018, 11:43 p.m.